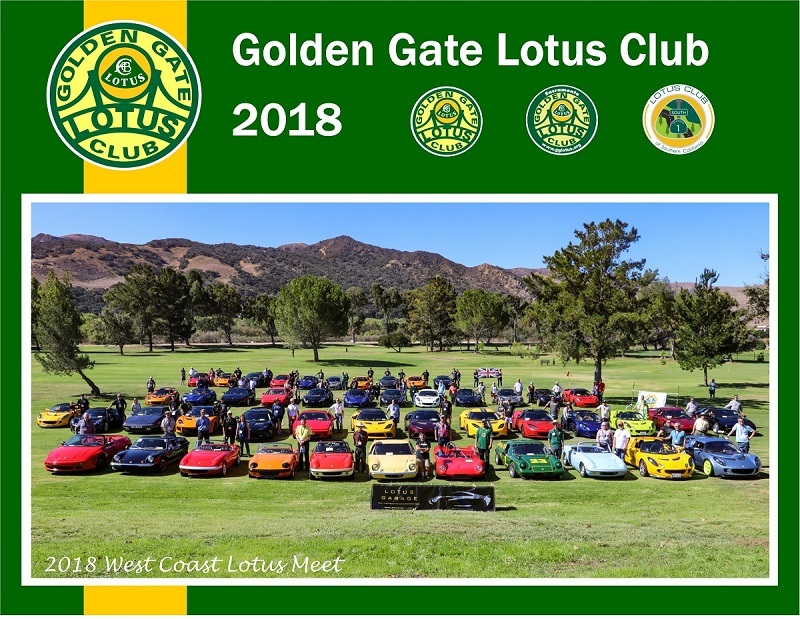 The GGLC is super excited to offer our members and Lotus enthusiasts the 2018 Golden Gate Lotus Club Calendar! The calendar features over 30 fantastic photos from recent GGLC events and GGLC members! Pick up a calendar for your office or home or BOTH! Click here for more details and to purchase from the GGLC website. 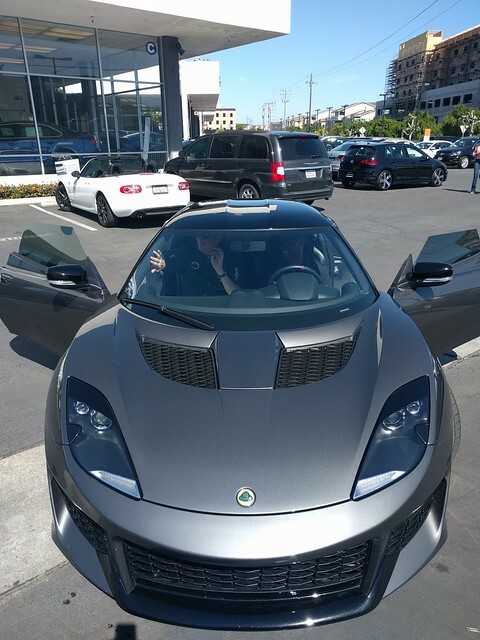 Last week Tom Sutton from Boardwalk Lotus invited the GGLC to swing by and take a look at the new Evora 400 which will be begining US deliveries later this summer. This particular car was one of two euro-spec demo cars that have been going all over the US to attend the auto show circuit and had 21000 kms on it. I got the chance to drive it for a few miles and wanted to write up my thoughts on the car. These are all my personal opinions and will be coloured by my experiences from owning an Elise for 10 years and an Evora S IPS for ~8 months. 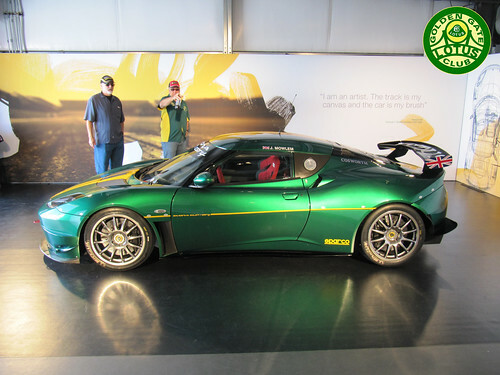 When the Evora 400 was first announced I have to say that I was not a big fan of the looks. 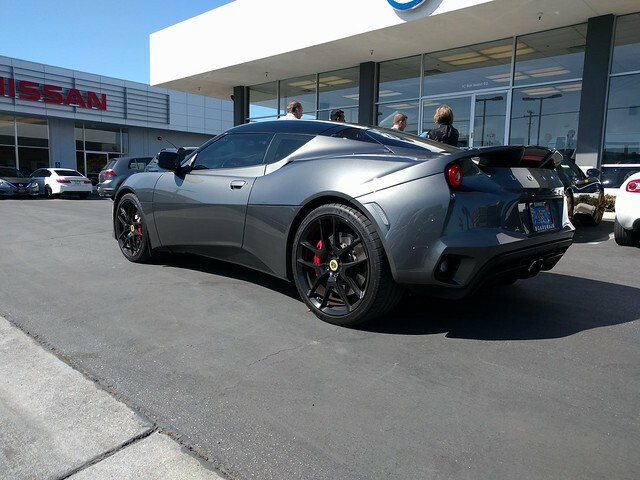 The sharp lines on the new front and rear looked a little “boy racer” to me and pushed me into getting an Evora S instead of waiting for the 400. However seeing the car in the flesh I have to say that the new front end looks much better in person and works really well in this carbon grey colour. The black line above the splitter kind of merges into the body and removes the thing I found most annoying about the front. The plastic grill replacing the mesh looks quite good as well. 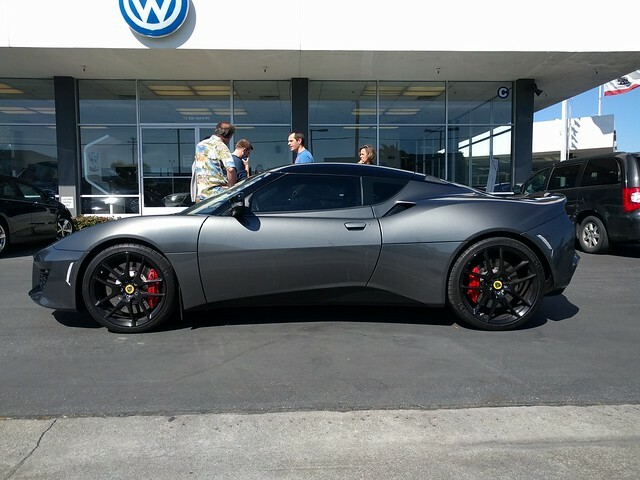 The rear also looks much better in person and I’d have to say that the Evora 400 looks very modern and contemporary. 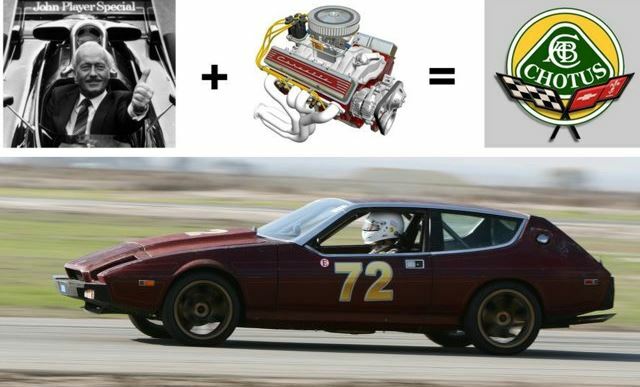 This is perhaps the single greatest improvement of the 400 over the first gen Evora. The side sills are a lot lower and narrower than those of the Evora S (below) which means it is as easy to get in and out of as a regular sports car – no lotus position needed. 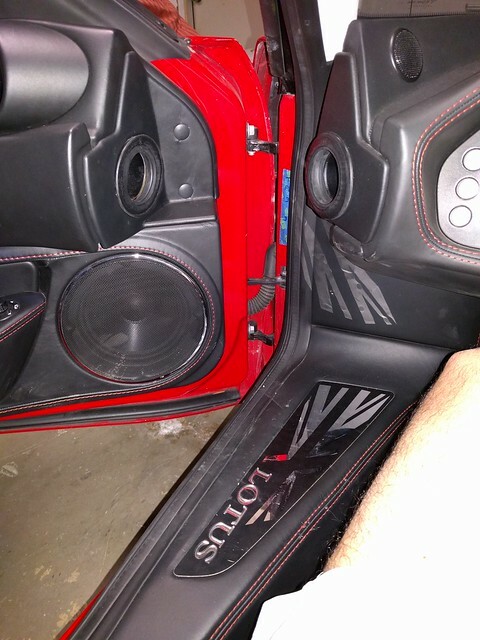 Additionally the speaker enclosure in the door has been made smaller and thinner which means your feet don’t hit the door every time you get out (even with size 14 shoes). 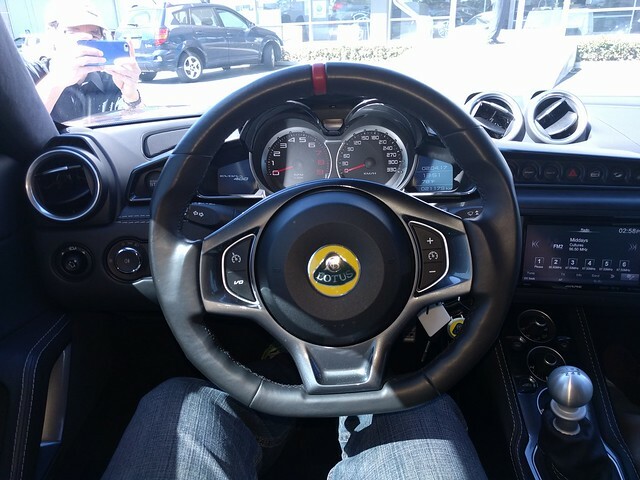 This has been my biggest annoyance with the Evora as a daily driver as you have be even more careful with your feet getting out that you have to in the Elise. The first thing you notice about the interior is the extra legroom in the drivers seat. 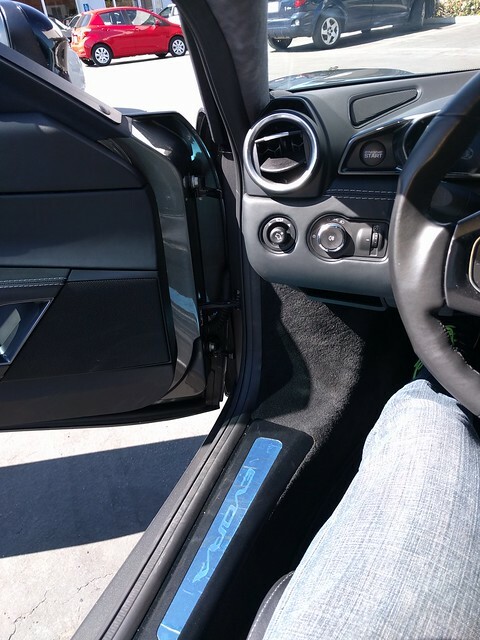 The narrow sill appears to have continued towards the wheel well to give your left leg more room. The manual cars now finally have a dead pedal where you can rest your foot and if feels like there is more footroom in general which came in handy for my size 14 feet. That said my Evora S is an IPS so its hard for me to compare against the manual 400. It also felt like my right knee had some more room though the console didnt appear to be much narrower. The other thing I really liked was the HVAC controls are easier to turn and have many more detents instead of the current half dozen or so. 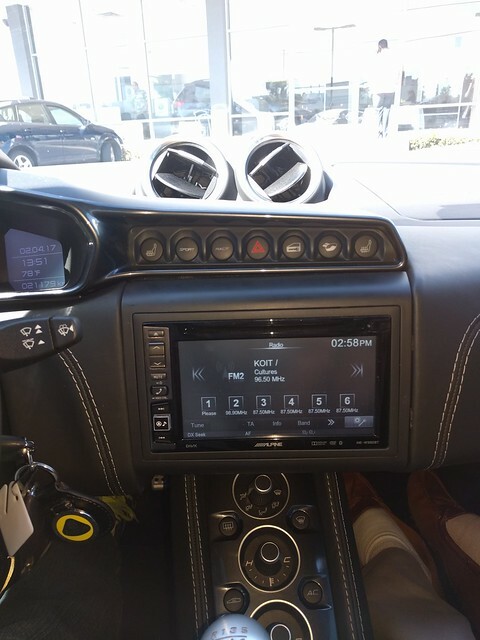 The stereo is also different but I did not get a chance to play around with it. The glove box is now manual instead of electric which aligns with simplify and add lightness. 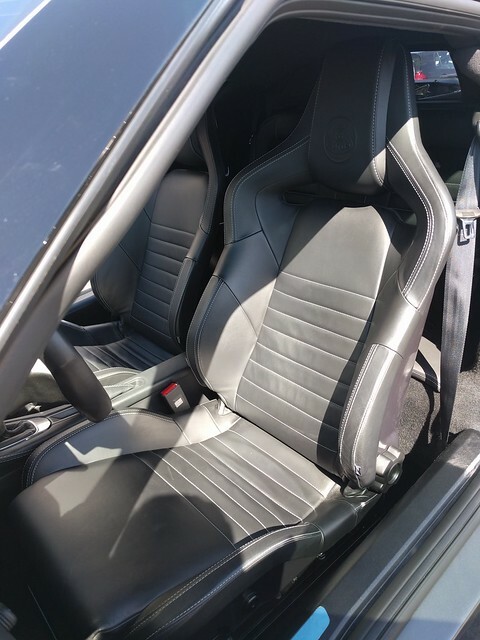 The seats have switched from Recaro to Sparco and now have side airbag included. The stitching is a little different but they are just as comfortable as the original car. 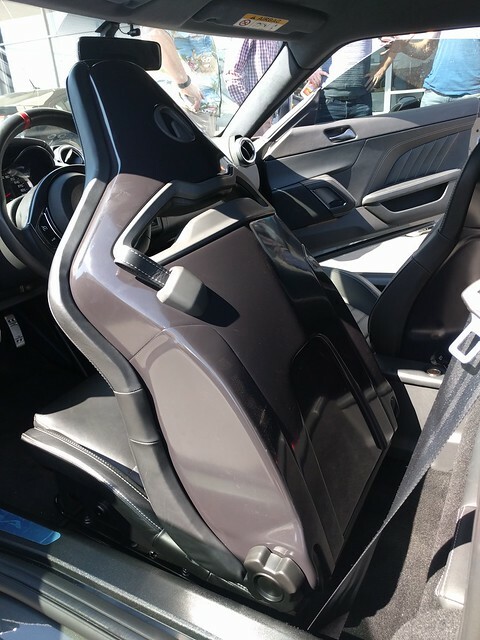 They now have a little leather pull to flip the seats forward which is much easier to reach and IMHO looks a lot cooler. The rear seats are as vestigial as ever. I only got to drive the car for a few miles in traffic but the ride and handling felt the same as the S. It felt fast but with the lmited opportunities to accelerate it did not feel that much faster than my S. The thing I really liked about the drive was the exhaust which is sportier (louder with better tone) and has a button that controls the noise level independent of the ECU mode. This means you can drive the car in sport mode with the quiet exhaust or be in regular mode with the loud exhaust – the S ties the louder exhaust to the sport mode only which can get a little annoying in city driving. 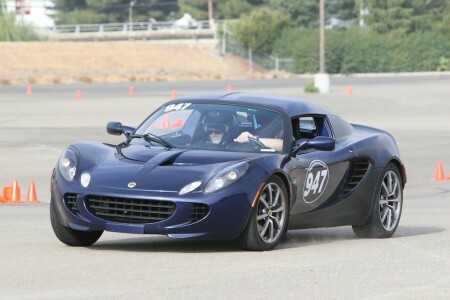 The shifter is also really smooth and felt a better than the other Evoras I have driven and miles ahead of the Elise. The other thing I liked is that the Evora 400 is better built than the Elise and does not have all the rattles and squeaks you have come to expect from a Lotus. The demo car had over 13k miles on it and felt like a quality item just like my S does after 2 years and ~15k miles. 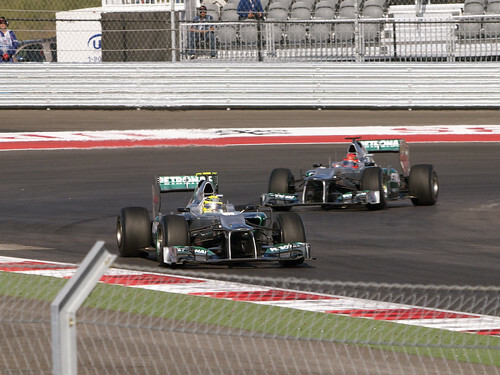 I had the pleasure of attending the inaugural Formula 1 US Grand Prix at the Circuit of the Americas last week and want to write up my thought after the event. 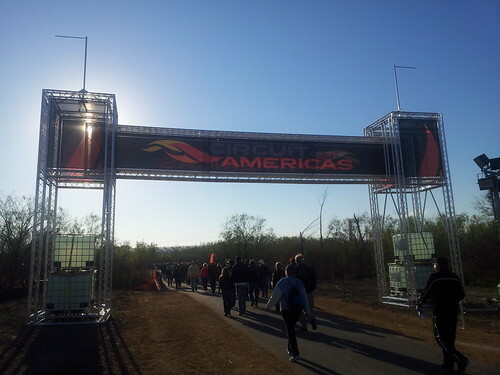 This is not a review of the race itself but rather a review of the venue from a fans point of view and how it compares to other race events I have been to such as IndyCar (Infineon), NASCAR (Infineon) and the 2002 F1 USGP at Indianapolis. Having read nightmare predictions about parking at the race I decided to use the free park and ride shuttle from the Travis Expo center instead of shelling out $200 for a parking pass. I was quite concerned about how long it would take to get to the track but the folks at the shuttle did an excellent time and it took ~10 minutes to park and no more than 15 minutes after that to board the shuttle. The shuttle ride itself took only 20 minutes which means the total time from entering the paring lot to getting to the track was under 45 minutes which is pretty good for a first time event. Once the shuttles drop you off it is a longish walk (~0.75 mile) to the track gates themselves so you are going to want to wear some comfortable shoes. 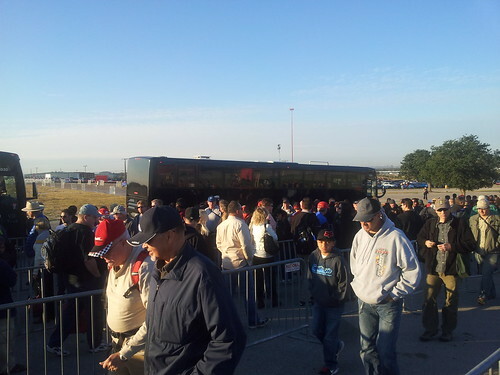 The return trips had a long line to get on the shuttle though once again they were very well organized. Friday was a 10 minute wait with Saturday in the 20 minute range. As expected Sunday was the longest wait at ~45 minutes which again is not that bad when you have 110,000 people trying to leave at the exact same time. The facilities were pretty well laid out and the first thing you saw on entering the track were the large merchandise booths. They were pretty crowded during the day and actually ran out of many items so I’d recommend buying the stuff you want asap on Friday morning (which is when this photo was taken). There were a huge number of porta potties lined up right behind the stands and also in the shuttle area which meant that we did not have long rest room lines. 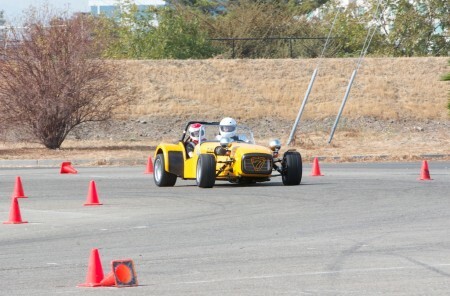 The track was also actively trying to improve during the event. People complained about a lack of trash cans in the stands and they brought them in to the stand stairwells for day 2 and 3. All in all the track did a great job serving a huge crowd in their very first year and I am confident that they will only get better next year. 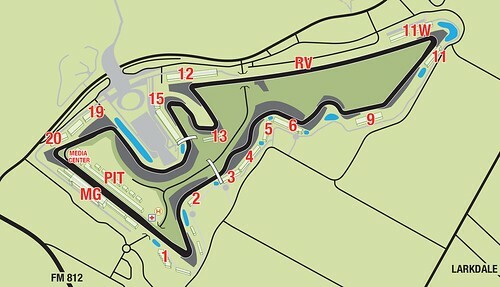 I was sitting in Sec 9, Row 33 of the T12 stand which put me ~10 feet past the apex of T12. These were the most expensive seats ($500+) in the race and the price was justified by the view. Apart from the excellent view of T12 (above), you could also see turns 13, 14 and 15 up close, turns 5, 6, 7 on the other side of the course and you also had a distant view of turn one though it was too far away to be able to tell which cars were which. One issue with sitting high up was that its too hard to read the text on the big screens (sec 9 is equidistant between 2 screens which exacerbated the problem) which makes it hard to follow the race in details. If I was doing it again I would sit towards the bottom of the T12 stand as you are closer to the cars and the loudspeakers at the bottom will let you follow the race better. Since most of the passing happens at T12 anyway you dont really miss too much by losing the view of the far side of the track. The following video was taken during the installation laps from Sec 9, Row 1 at T12. Turn 3 was a stand which received rave reviews from the assembled journalists. The painted runoff areas lead to some spectacular photographs and the drivers love the high speed sweepers which are reminiscent of Silverstone. However as a fan I’d rather watch some passing or passing attempts and with only two moves being pulled off at T2 all race I’d suggest sitting in a different stand. The general admission areas of the track has some spots with excellent views as long as you come early and camp out. The prime spots IMHO were in front of the T15 grand stand (allows you to see down the straight), T19, exit of T20 (great acceleration + view of the podium, pic below) and the entrance of T1 (packed on all 3 days). If you are willing to come in early and camp out I’d suggest doing that as it will save you a lot of money and be a more memorable experience. You can also try going into the tower which gives you a spectacular view of the track but you will likely need binoculars or a long lens to be able to identify cars and follow the action. Finally if you can get access to a PSL seat I’d recommend T15 and T1 as they will allow you to see down the straights which really shows the speed of these cars. The track had autograph sessions for all the drivers but the drivers were there for just 15 minutes which is truly pathetic when you have 110,000 paying fans at the event. FOM should really force all drivers to have at least a 30 minutes session and extend it to an hour for the more popular teams and drivers (Red Bull, Ferrari, McLaren, Kimi, Schumacher, etc…). 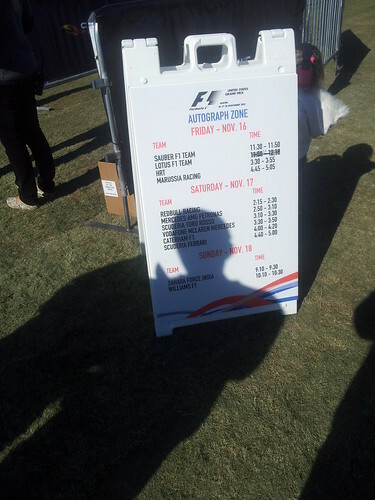 Compare this to NASCAR and Indycar where you can get a garage pass and chat with the drivers, F1 is extraordinarily fan unfriendly. 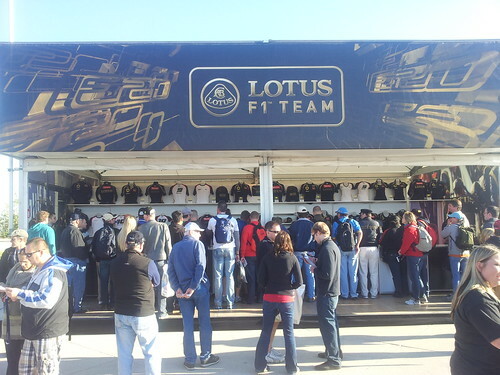 As a friend of mine said later – welcome to F1 where the fans come last. Once other thing that F1 really needs to learn from NASCAR is in easy identification of the drivers. While the cars themselves are very easy to identify, it is almost impossible to tell the team mates apart. Some drivers use very different helmets (Michael and Nico, Alonso and Massa) which make them easy to identify but to many of the team mates use helmets that are too similar to differentiate at 100 mph from 20 meters away. And to top it off people like Hamilton and Vettel actually changed their helmet on each day of the race which made them even harder to identify. The only team with a clearly readable number on the car was McLaren (rear wing endplate). 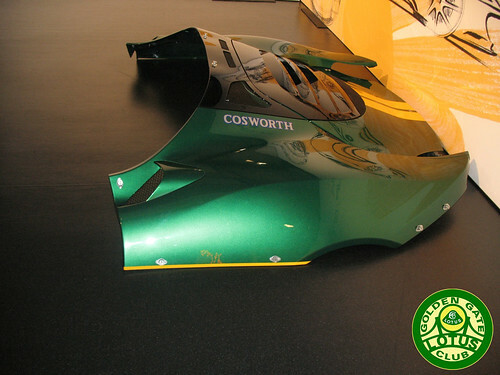 Even the HRTs which have a large number of the car have put the significant digit on the sidepod such that it is difficult to differentiate 22 and 23(below). FOM should force team mates to have clearly differentiable helmets and also make drivers carry the helmet (or a replica) on the parade lap so that fans can tell who is who. Update: I’ve gotten a few comments on the various forums about how I’m not a regular follower of F1 and I should be able to tell from the pylons over the drivers. First off I am a regular F1 follower and have missed only a handful of races since 1994. Second the pylons are quite small and hard to see on a moving car especially with changing light conditions and the various background colours – super slow-mo replay has really spoiled us TV watchers. And finally the pylons are set based on points from the previous season and change between drivers – Lewis and Jenson have swapped pylons every single year which means you have to re learn them all the time. The days of Stewart and Senna having the same helmet throughout their careers really did make the ID easier. The suggestion of coloured noses instead of pylons is great but I’m sure the sponsors will object to losing billboard space. One of the best things about attending an F1 race is the number of F1 related off-track activities that take place. The Formula One Team Association (FOTA) held their first american FOTA Fan Forum where 500 fans got to directly interact with team representatives ask the kind of questions you never see on TV. I was unable to attend but will definitely try to attend the next time. 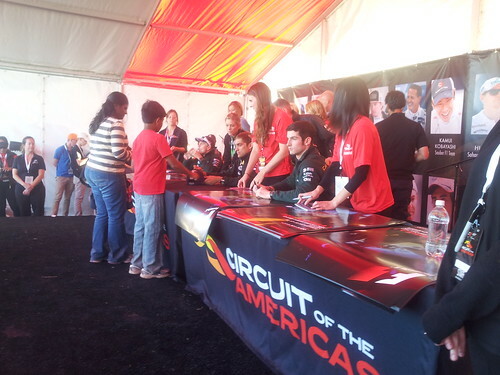 For the more casual fans Austin create the F1 Fan Fest which shut down a 9 square block area of downtown Austin with music, food, stores and all manner of motorsports related activities. Mobil 1 had a tent where fans to do a pit stop on an actual McLaren show car while Red Bull and Lotus show cars were all over the place. If you are staying in a downtown hotel it is well worth a visit to the fan fest. All-in-all it was an enjoyable experience and I would recommend doing it at least once especially if you have never been to an F1 race before. It is however quite pricey and as a result I’m not sure if I will be going back next year. 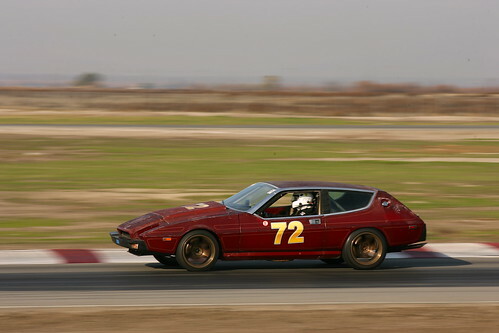 On December 4th 2011, a 1974 Lotus Elite with a Chevy V8 engine competed in a 15 hour endurance event at Buttonwillow, California. It didn’t do very well. This is the story of our path. You can follow it if you like. Probably best if you don’t though. Step 1. 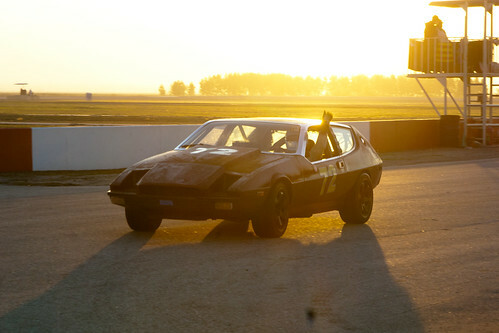 Buy a Lotus Elite. Possibly the hardest part of the operation, as there are likely less than 100 of these fantastic machines in working order in the US. We found our car by advertising a second hand fridge on Craigslist, then asking the guys who showed up they have a Lotus Elite they’d like to swap for the fridge. We asked him to throw in a couple of hundred bucks. Step 2. Bring the Elite home. We found out that Colin, being his usual efficient self, used the drive shafts as the upper suspension elements. 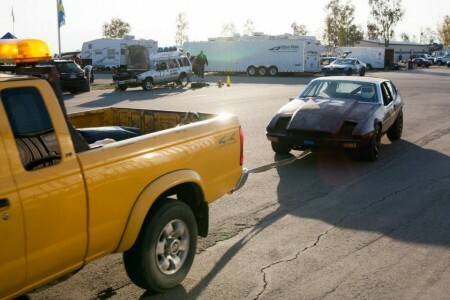 With the diff in the standard place for the Elite (the trunk), towing quickly resulted in two flat tires as they impinged on the incredibly sharp shock tower brackets. Step 3. Look for the rear brakes. We found them in the trunk. With the diff. On the diff actually. And they’re drums. Step 4. Remove the Interior. Everyone knows that to be competitive in a race you should make your car as light as possible by removing the creature comforts such as passenger seats and the air conditioning. The Elite was originally a luxury 2+2 as it rolled off the production line all those years ago, but Colin was alive at the time, and simplify and add lightness was still the rule in Hethel. Removing all the interior saved us about 10 pounds, but vastly reduced the amount of tan corduroy we see on a daily basis. Step 5. Build a cage. In fact, we didn’t build a cage. It’s far too difficult for a Joe Shmoe like you and me. We took it to an expert cage builder who scratched his head at the challenge of finding enough metal in the car to weld to. 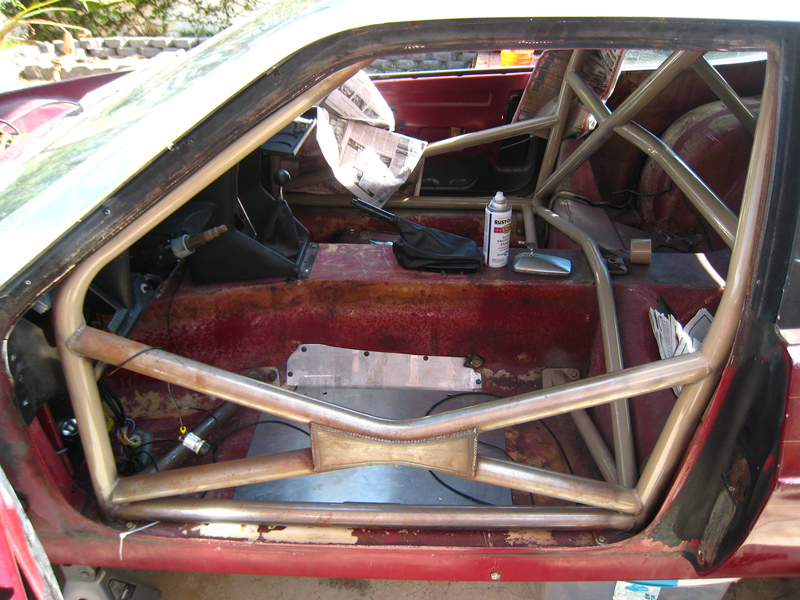 In the end he built a complete under floor chassis to hold the seat to the cage. In the event of a really big hit the fiberglass body may part company with the cage, but at least we’ll still be in the cage. Step 6. Install the diff. We set aside about 3 days for this task, not really because the diff is hard to install, but that with the drums on the diff you have to connect brake lines to the diff when the diff is in place. We could have saved about 2.5 of those days if had cut large holes in the fiberglass by the transmission tunnel to access the brake lines from the back seat. We did this after spending the 3 days installing the diff. Step 7. Get the Chevy V8 running. This is ridiculously easy provided you don’t have the distributor set 180 degrees out. You’ll know if you’ve done this because 8 foot flames out of the carburetor are not normal. Neither is blowing the breather out of the valve cover into your overhead florescent lights. Step 8. Go to the practice day on the Friday before the race. 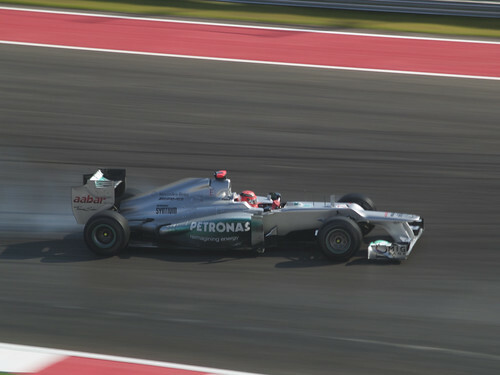 A novice would think that the practice day is to tune up the performance of the car on track. It turns out that normal procedure is to hammer on the radiator fan shroud to try and reduce interference. Take the radiator out to have to hole you just made in it repaired. Bleed the brakes 9 times. Go out on track for ¼ of a lap and get towed in with an apparent fuel problem. Wonder what’s causing the blue smoke to come out of the exhaust but not have time to investigate it. Fail tech by putting the battery in the trunk, so that with a big rear end hit we have a heavy object to puncture the gas tank and a spark source to ignite it. Move the battery to the rear seat, and collapse in a heap from a 14 hour day working on the car. Step 9. 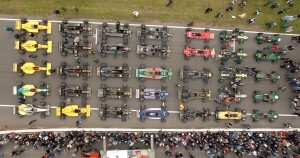 Line up for the start on Saturday. Again a novice would think that this is to take part in the race. Instead this is so that we could get towed off after another ¼ of a lap with the fuel problem that we had the day before but didn’t solve. We installed an electric pump instead of the mechanical one and wondered why we still had a fuel problem. We replaced the inline fuel filter and wondered why we still had a fuel problem. We examined the interior of the carburetor and wondered why we still had a fuel problem. We found a kink in the fuel line right under the gas tank and knew why we had a fuel problem. At last we got to run two laps of the track before getting black flagged for leaving blue smoke swath so bad we understood why James Bond liked Lotuses. Back to the pits we started taking the engine apart and wondered if we did anything bad to the internals when we spat flames out of the carburetor. Nah. That couldn’t be it. Backfires (frontfires?) could have blown the intake gasket, letting oil into some of the cylinders. Good job it’s easy to take the intake manifold off a V8 and replace it. 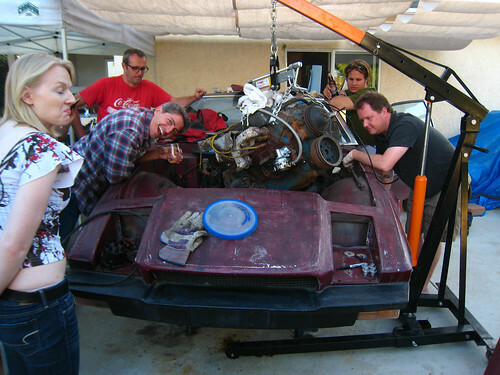 While we’re in the pits we drained the ½ gallon of gasoline in the trunk and tried and figure out where it’s coming from. We connected tubes to the breathers that vented into the trunk. Finally! The car was fixed and we could get back out on track. Shame that racing for the day stopped 6 hours ago. The throttle cable was stretching due to a bad pull angle from the accelerator pedal. Another stop and an adjustment on the throttle made the car faster again, but it was a temporary fix as the cable started to fray in the sheath, making it stick. 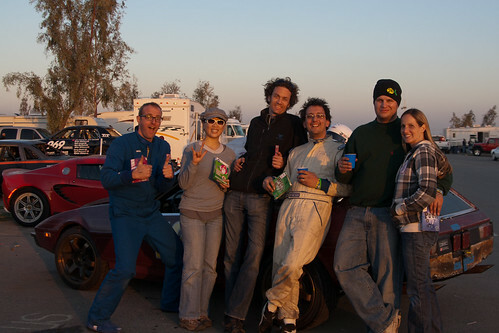 The 2010 GGLC Autocross Series came to a close on October 16th at the expansion parking lot of Great America in Santa Clara. 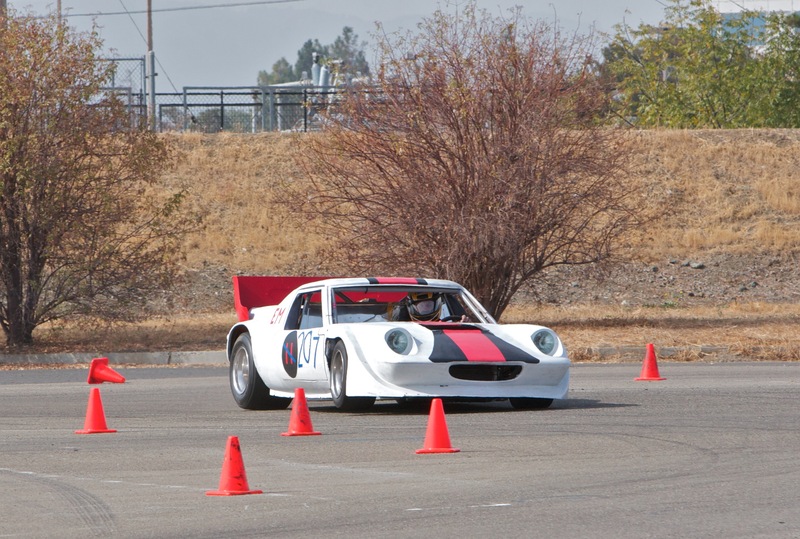 The event closed what was another banner year of GGLC autocrossing that featured 6 points events, a practice event and two 2-day autocross schools. In all there were nearly 500 drivers who took over 5,000 runs and spent over 4,000 minutes on track (nearly 3 days of driving)! 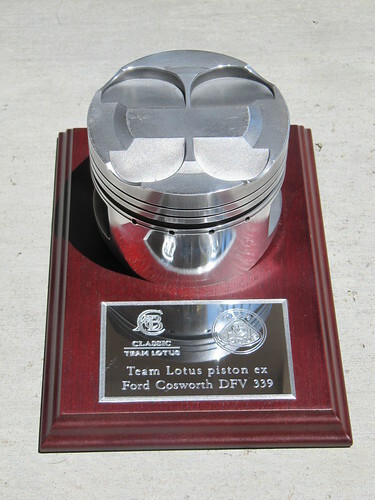 We thank the 2010 GGLC Autocross Series sponsor Boardwalk Lotus, Redwood City, CA for supporting the entire series and providing our trophies and season ending BBQ celebration. 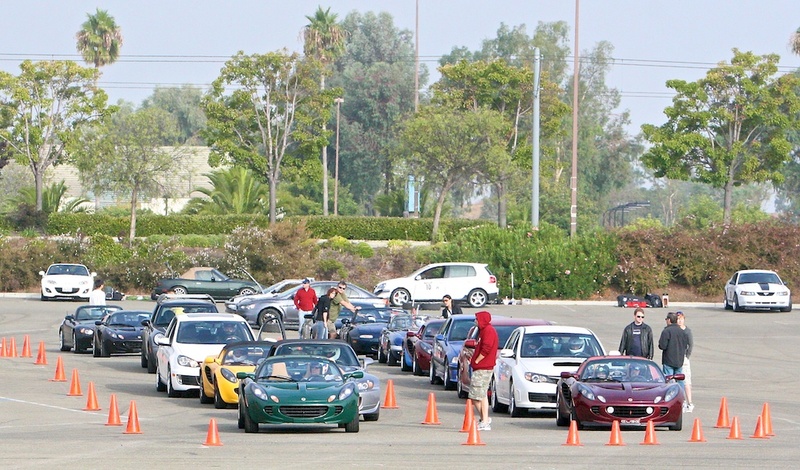 70 drivers arrived and were confronted with a challenging course that twisted through the lot. Weather was “perfect” fall Bay Area, a bit cool in the morning with a very light breeze mid-day with a few clouds around to temper the sun. 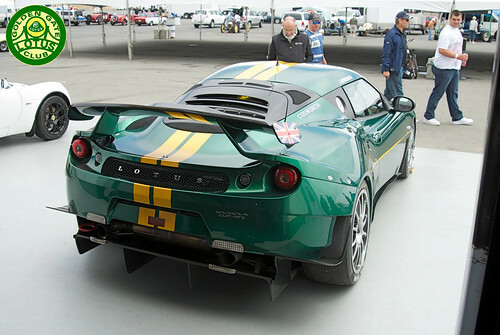 Of the entrants 37 Lotus comprised of 21 Elise and 6 Exige, plus it was designated as “Classic Lotus” day. The classic Lotus were represented by 3 Seven/Seven clones, 3 early Elans, an Esprit and 3 Europas, or maybe we should say 2 Europas and a “Europa” in BIG quotes! Course set-up took a bit longer than usual since we aren’t as familiar with the site and unlike the Marina site there aren’t any 20’ x 20’ squares in the concrete. But, we were up and ready to run by 8:30 and the first car hit the track right at 9 am. This was a longish course, with a crossover. Coming from the start box was a very quick left-90 and then a slight right bend and a crest that made a blind entry into a sweeping and dipping right-hander. You then sweeped to the left under power into a sweeping 180 right that was followed by a 4 cone slalom. The trick was to stay well to the inside exiting the 180 to set up for the slalom. It was back through the crossover and bend to the right with a tight exit as there was a bulge on the left. This was followed by a double right hand corners where you took the first as an early apex, then took an early turn in for the second as the tarmac fell away toward a drain in the lot and the car wanted to drift wide of the apex. A fairly quick left sweep that led up to the far end of the lot and a 90-left followed by a straight and a box slalom. The final leg was another 4 cone slalom where the 3rd cone was off-set causing you to have to slow. Raw TTOD went to our own Barry S. in the peusdo Europa with a 42.811. Barry just finished re-assembling and installing his engine the evening before after getting some machining done to cure an oil leak that cropped up 2 weekends earlier. Barry’s “Europa” may looks sort of like a Europa… the only part that’s still pure Europa are the door skins, roof panel and bit of the rear quarters and engine cover. Underneath is a modified Esprit chassis, custom suspension and a turbocharged 3 rotor Mazda 20B engine with Porsche gearbox. John Z in the Flamer Europa got down to a 52.2 before running into a driveline problem and Tom C got his Toyota powered S2 Europa to a 56.499. The Elan drivers were showing their stuff with Royce H in his S3 Elan down to a 53.767 followed by Mel B at a 54.694 (when he could find his way around the course) and Dan W at a 56.083. The Seven-clones were speedy and competitive with the quickest being Jim R in his WCM Ultralite getting down to a 47.489, Rahul N also in a WCM Ultralite at 47.511 and then Dave H in a Caterham Superlight at 47.840. 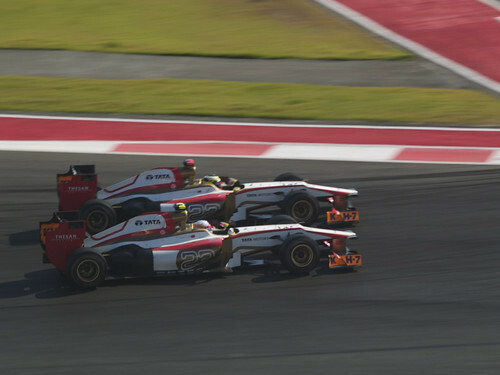 Great driving from all three to be within 4 tenths of one another! Andy C took the his Esprit to best 54.796. 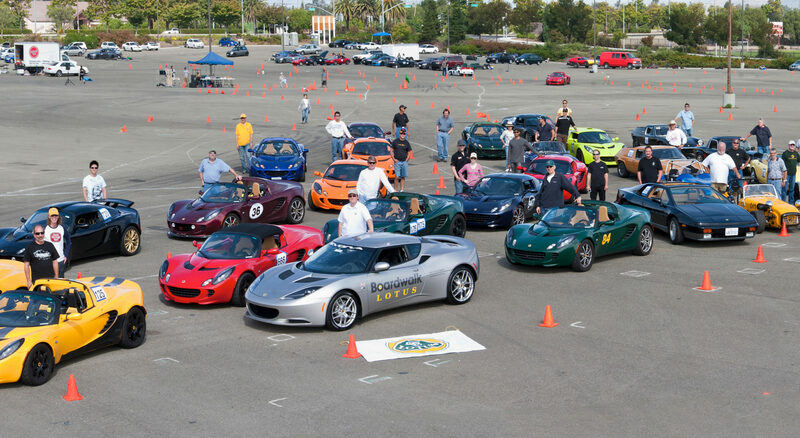 And then came the gaggle of Elise and Exige drivers. Fast time for this group went to Shelly M at a blazing 45.328, showing everyone why Shelly is the reigning 2010 SCCA SoloII Champion. For stock Elise came Cappy P with a 48.975 and stock with R tires was Alfonso C at 47.634. 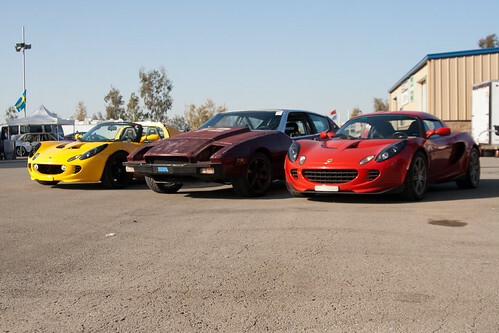 The quickest Exige was driven by Pascal V with a 47.165 just besting Hiroshi K at 47.913. The Open Class was topped by Barry’s Europa and 2nd went to Issac A in a EvoX at 46.103. As has become the tradition at the final event, we arranged for a catered BBQ lunch complete with tables, chairs and tablecloths! BBQ beef and chicken with potato salad and dessert was prepared on site and year end trophies awarded. 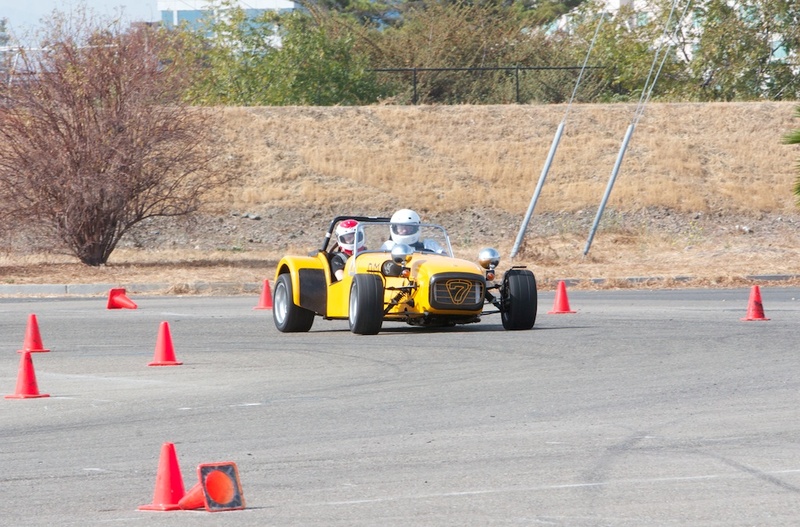 This year the Open Class winner was a repeat champion, Joshua S in his 2006 Evo-IX. 2nd in class was Issac A in his 2008 Evo-X. In what can only be called an upset the Lotus class Champion went to Shelly M who’s consistent finishes put her a top last year’s champ, Jason S.
We now get a bit of a breather over the winter. And, within the next couple months the 2011 GGLC Autocross calendar will be announced. 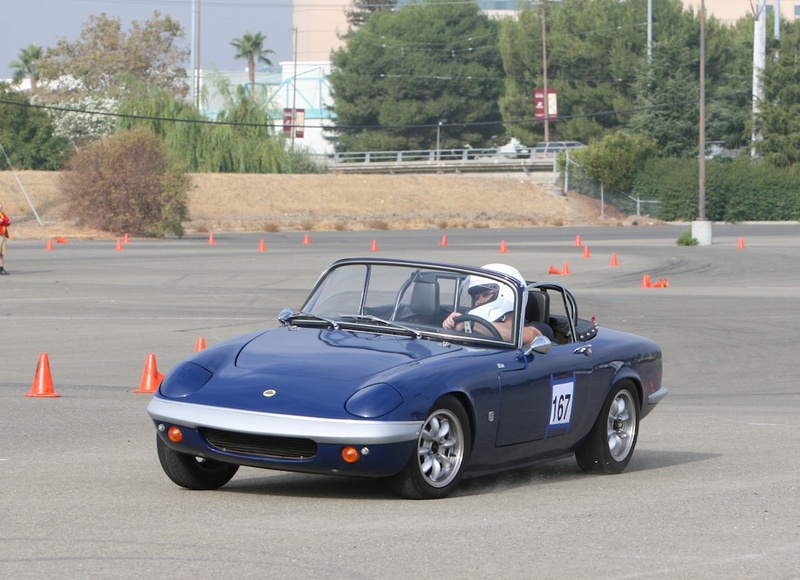 It’s likely there will 6 points events with one or two practice events, a autocross school and LOG 31 (Lotus Owners Gathering) in Las Vegas where the GGLC has been asked to host the LOG Autocross. So 2011 will be fun and busy! A huge thanks to Dave Ellis for taking these wonderful pictures and making them available to the club. 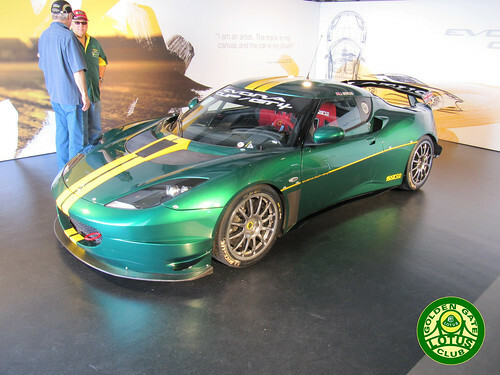 While the Lotus Exos was deservedly getting all the press after the Monterey Motorsports Pre-Reunion, Lotus also held the North American Premiere of the Evora GT4 Cup car at the same time. Developed from the highly acclaimed Lotus Evora sports car, the Lotus Evora Cup GT4 race car has been engineered to give drivers a competitive racing package straight “out of the box”. The car has been developed in conjunction with a number of prestigious technical partners and features a world class chassis, steering and brakes delivering exceptional ride and handling. 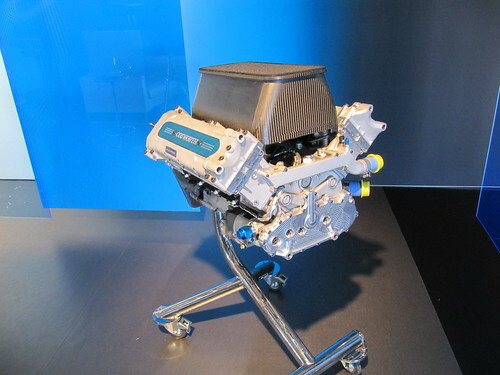 The Cosworth tuned engine is bored out to a 4 litre capacity and produces 360 bhp (Vs 3.5L and 280 bhp in the road car). Further upgrades include a six speed sequential paddle shift racing gearbox, full FIA specification roll cage, FIA-compliant 96 litre fuel system, FIA fire extinguisher system and kill switch. Unladen weight has also been reduced by over 200kg to just 1190kg. While the Evora Cup looks quite similar to the road car, there are a number exterior changes to improve downforce such as the beautifully integrated carbon fiber rear wing and diffuser package above. Other downforce enhancements include the front splitter and wheel vents on all four corners. The body panels are also easily removable for easy access to various internals. I first thing I noticed going down the pit-out lane was the seamlessness of the paddle-shift sequential box… and next I thought, gee… Johnny’s going to go around the pit out corner at T2 pretty quick, and he did: the car definitely has some serious grip. The next two corners, T3 & T4 are relatively flat; no camber… I usually ease into the brakes so I don’t upset the car too much, then transition into the turn. Johnny waited much later to brake and broke much harder, but it didn’t seem to faze the Evora’s chassis at all, the car just has great grip and poise during transitions. The rest of the ride was more of the same, as the tires warmed up and Johnny broke later and harder than I would have expected; but always completely smoothly. The shifts were so smooth I barely noticed them. The car has good acceleration too… better than my 2-Eleven everywhere with the possible exception of the steep rise from T6 to the corkscrew. As I’d said, it’s always tough to compare one car from the passenger’s seat with another from the driver’s seat… but the overall impression is that the Evora Cup is very much a Lotus… fantastic braking, tenacious cornering, great chassis dynamics… and maybe somewhat of a welcome surprise… very torquey. All in all the Evora Cup GT4 appears to be another fantastic race car from Lotus and should do well both as a track day car and as a competition GT4 racer. For more information about the car please visit www.lotusevoracup.com. For more pictures from the premiere event please use the slideshow below or head directly to our Flickr Set. We request blogs and news outlets that use our content, photos and video to please credit Rahul Nair and the Golden Gate Lotus Club as well as link back to this post. 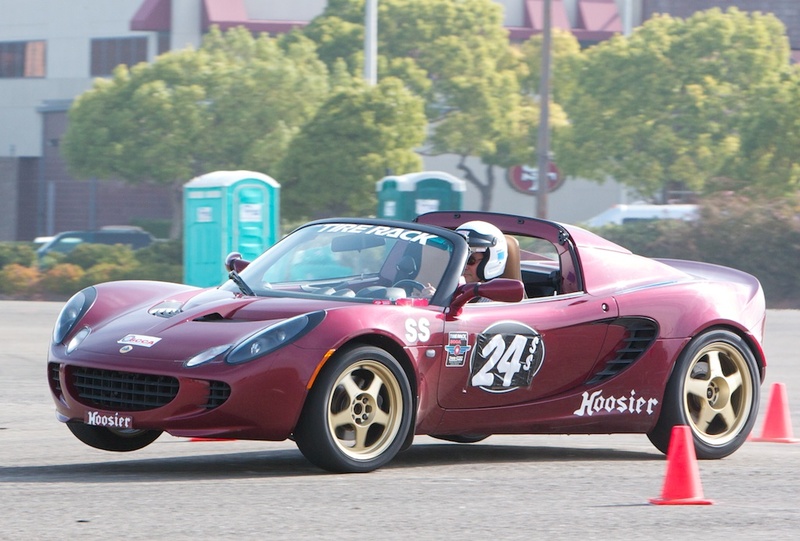 The GGLC was proud to attend the world premier of the new Lotus Exos Type 125 at the Monterey Motorsports Pre-Reunion today. The Lotus T125 is an F1 inspired track only car that uses Formula technology and a Cosworth V8 to provide stunning performance for the ultimate track day toy. The first things that strikes you when you walk in is how much it looks like a current generation F1 car. 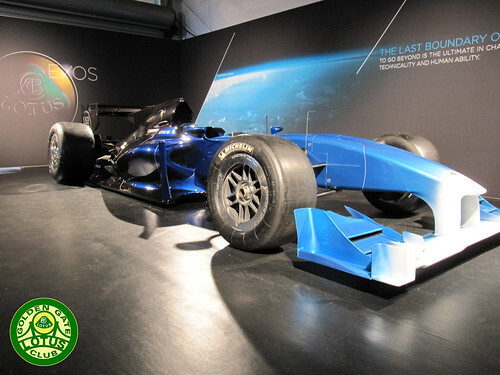 The chassis is a carbon fiber monocoque with both the wide front wing and the narrow rear wings of the 2009-spec F1 cars. 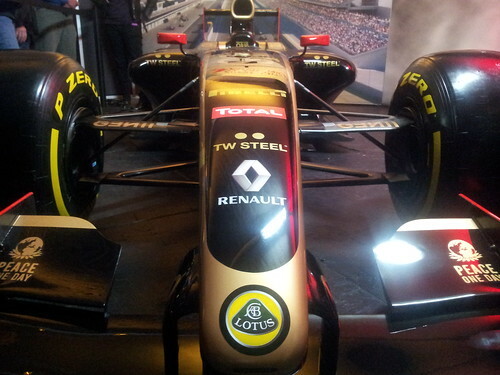 It also has the coke bottle shape, top exit exhaust and shark fin engine covers that have been in vogue. Other technical similarities include carbon ceramic brakes and a carbon fiber pushrod suspension. 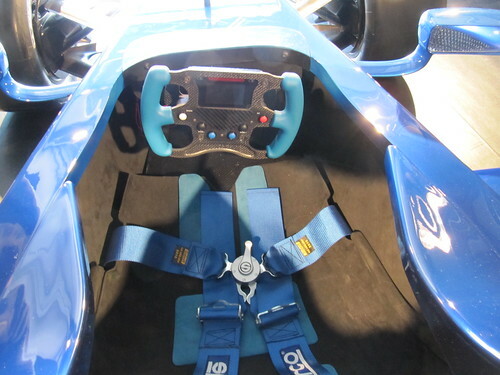 The F1 technology continues inside the cockpit there the car uses paddle shifters to control the semi automatic gearbox as well as a multi function screen on the steering wheel that allows drivers to set the various parameters on the fly. 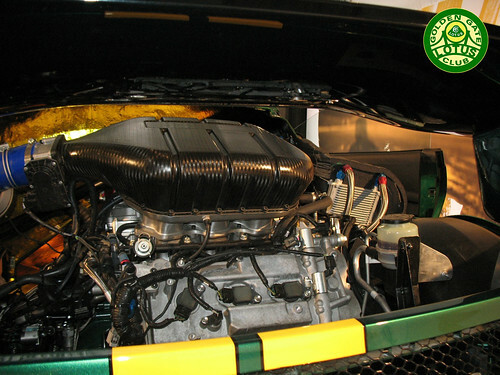 The engine is a 3.5L Cosworth GPV8 that has been detuned to produce 650 bhp with a 10,300 rpm redline (10,800 push to pass). Weighing just 650kg the car will have a power to weight ratio just shy of 1000 bhp per ton and should be faster than anything this side of a recent Formula 1 car. 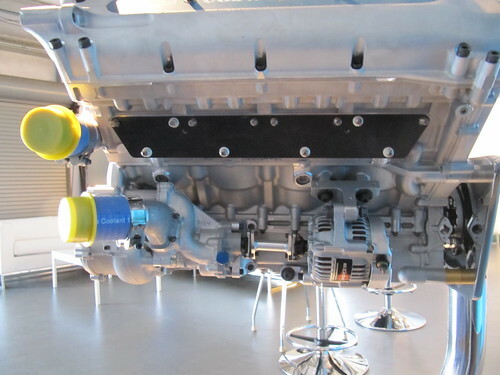 Unlike an F1 engine, the GPV8 is designed to run 4500 km between rebuilds and has a starter motor (note the alternator above) so that you don’t need a support crew to be able to run the car at the track. 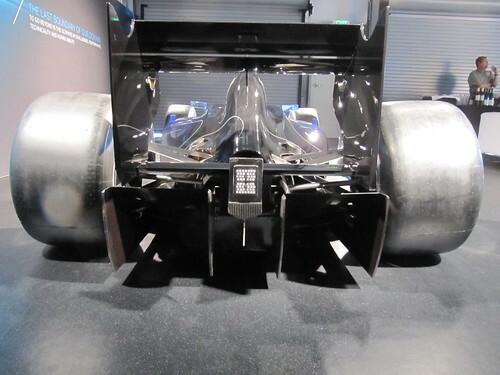 Notably absent chassis features include double-diffusers, exhaust blown diffusers, flexi wings, f-ducts and other F1 innovations that were created to get around the various rules. 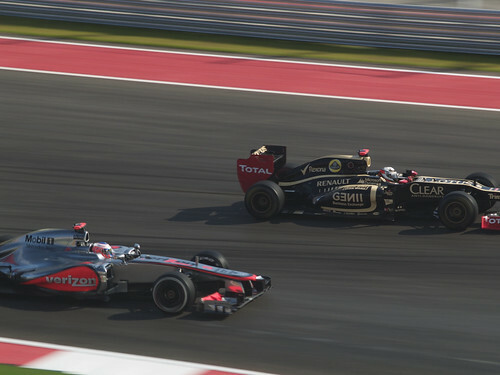 Being a track only car and not built to a particular series, Lotus has been able to use the best features of F1 without having to use the various rules workarounds. Its a clean sheet design where the designers were told to “have at it boys”. Lotus plans to make just 25 Exos next year and will be pricing then at one million dollars apiece. 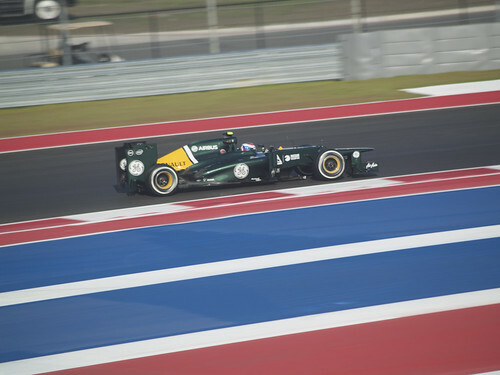 Apart from the car itself, the Exos program will also include 5 “driver events” at various race tracks that will allow the owners to slowly come up to speed with the performance of their new car by getting instruction and advice from a variety of current and past Lotus drivers (a little birdy tells us that Mika Häkkinen and Jarno Trulli will be involved). 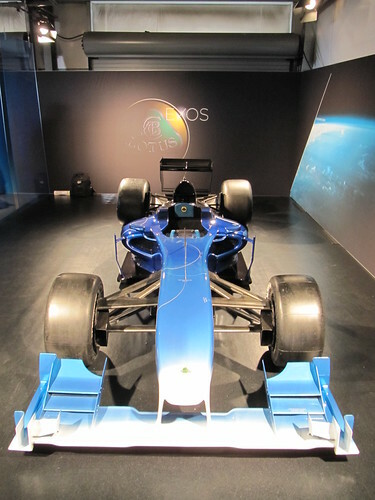 For more on the Exos please watch this video of Stephen Wright from Lotus Motorsports explaining the philosphy behind the Exos. You can also see the rest of our Exos pictures in the slideshow below or head directly on to Flickr. We request blogs and news outlets that use our content, photos and video to please credit Rahul Nair and the Golden Gate Lotus Club as well as link back to this post. 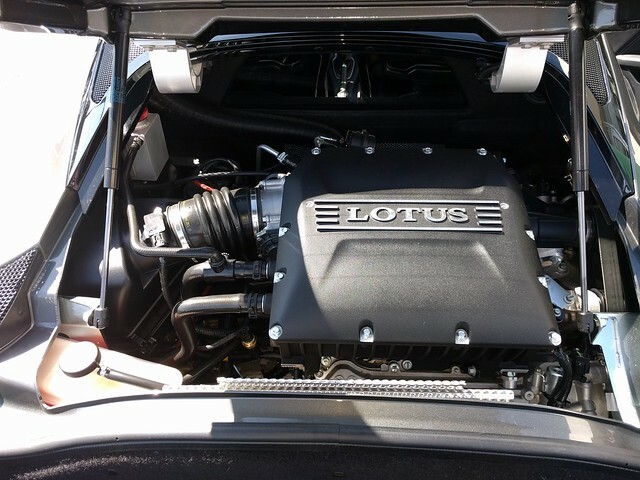 A huge thanks to our friends at Lotus Cars USA and Boardwalk Lotus for inviting us to the event. 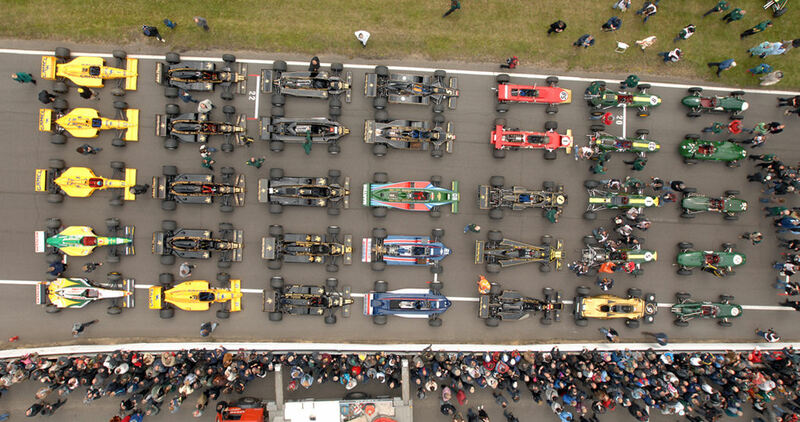 On 20th June 2010 at the Classic Team Lotus Festival at Snetterton, thanks to the generous participation of owners from all over the world, one of every type of Team Lotus Formula One car was gathered together for the first time. Between them these 35 cars represented the Lotus marque at 491 Grand Prix, from the 1958 Monaco Grand Prix to the 1994 Japan Grand Prix. They scored 79 World Championship Grand Prix victories, won by Stirling Moss (4), Innes Ireland (1), Jim Clark (25), Graham Hill (4), Jo Siffert (1), Jochen Rindt (6), Emerson Fittipaldi (9), Ronnie Peterson (9), Gunnar Nilsson (1), Mario Andretti (11), Elio De Angelis (2) and Ayrton Senna (6). Team Lotus won the World Championship of Constructors in 1963, 1965, 1968, 1970, 1972, 1973 and 1978 and the World Championship of Drivers was won six times by Team Lotus Works drivers Jim Clark (1963 & 1965), Graham Hill (1968), Jochen Rindt (1970), Emerson Fittipaldi (1972) and Mario Andretti (1978). This special occasion was captured by daredevil photographer, William Taylor, from 34 metres up on a hydraulic platform, positioned directly above the centre of the grid. Classic Team Lotus is producing 491 numbered prints of this unique image for sale (photo print quality, image dimensions 750 x 375, print dimensions 800 x 500). 79 will be signed by Hazel Chapman and Clive Chapman, and numbered in accordance with the Grand Prix victories, and priced at £200. 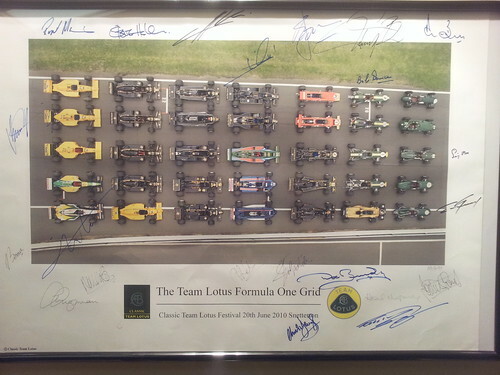 412 will be signed by Clive Chapman and Chris Dinnage, the Classic Team Lotus Team Manager, and priced at £100. Dispatch is to commence by the end of July. The prints will be unframed and despatched in a large diameter, bespoke tube. If you would like to order one of these prints of this special moment in Team Lotus history, please email Dave Massey at dave@classicteamlotus.co.uk. The mailman just brought me this amazing piece of Lotus F1 history: a piston from the Cosworth DFV engine #339 used in the Lotus 81 Formula 1 car. 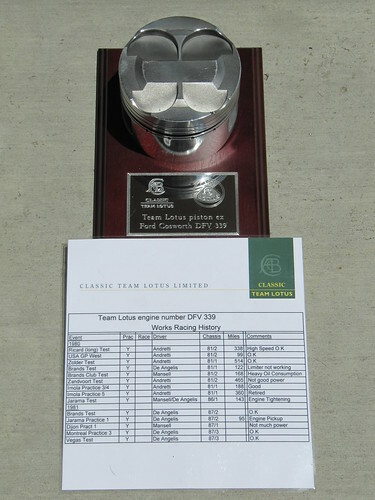 In the 70s and 80s, Team Lotus was in the habit of keeping the pistons from rebuilds to use as VIP gifts. Each engine’s pistons were labeled and stored but not all were presented. 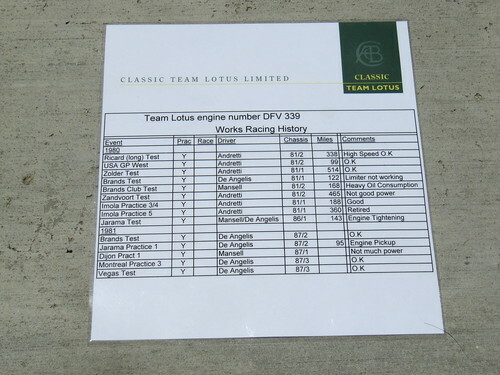 With reference to the team’s archives, Classic Team Lotus is able to identify the detailed competition history for the engines in which the pistons ran. A great deal of polishing, then mounting on a wooden plinth, complete with presentation plaque, makes a rather special item of memorabilia. 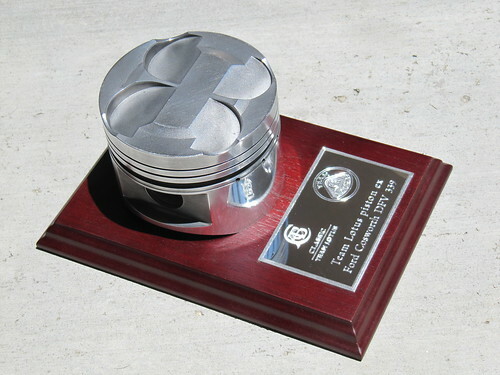 Now while a piston from an F1 engine is amazing in itself (Ferrari charges >$600 for a 2000 piston), this particular engine has some additional history that makes it even more unique. The DFV 339 was used by not one but two F1 world Champions: Mario Andretti used it in his final season at Lotus while Nigel Mansell used it during his first two seasons in F1. 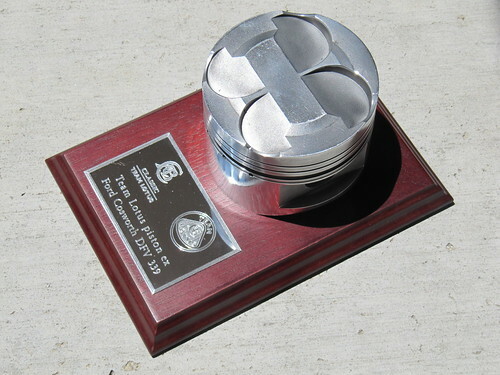 The piston comes with documentation of the engines usage and you can see that while it was used primarily in practice and testing, it was also used by Andretti in the 1980 USA GP West where he retired after a first corner accident. If you’d like to get your hands on some original Team Lotus history, head on over to the Classic Team Lotus webstore and be prepared to fight the temptation to buy out the entire store.